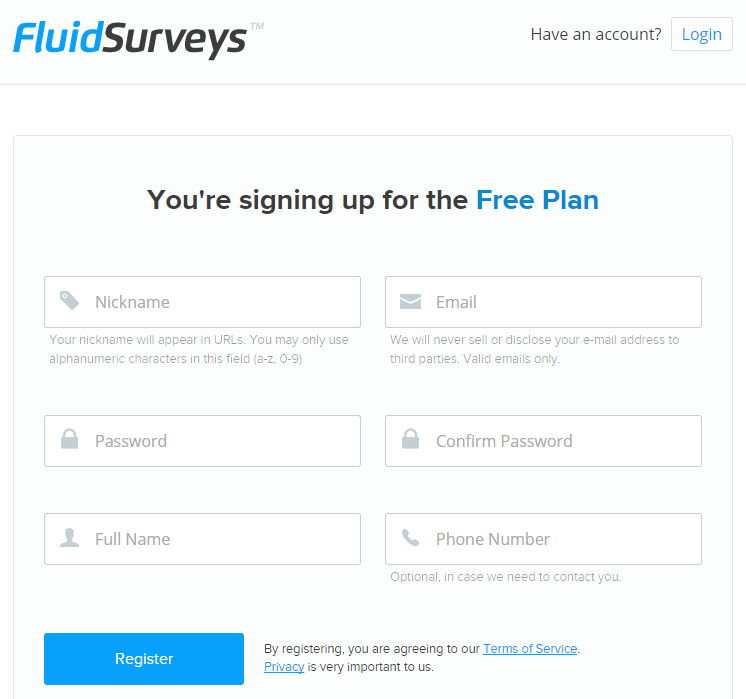 Here is the place where online survey sites like FluidSurveys step in. 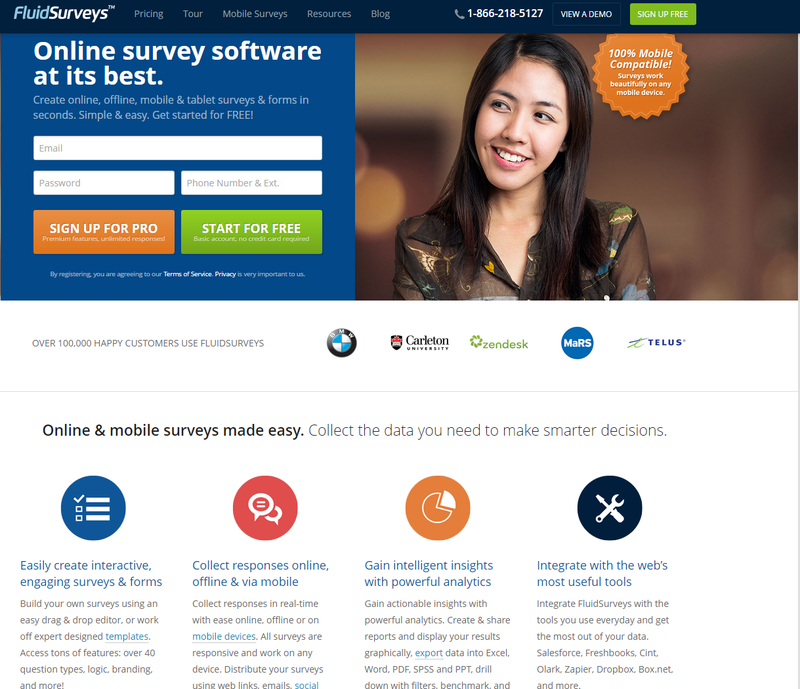 FluidSurveys is a do-it-yourself online survey tool that is meant to allow customers from around the world to create their own surveys, collect data from respondents, and analyse results. We will begin the work on our first survey immediately. 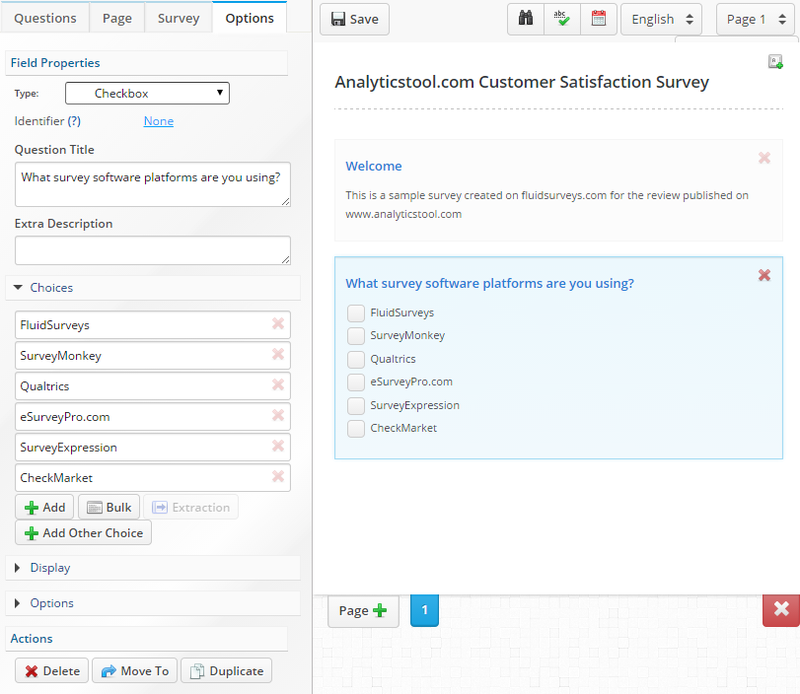 To get started, you need to enter the survey name and the default language. 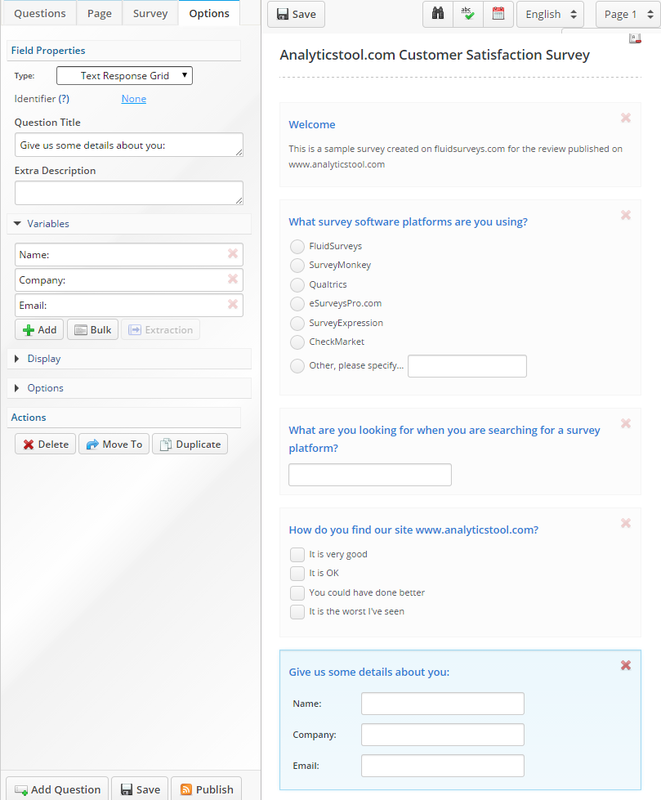 You also have the possibility to import a survey from FluidSurveys Backup. 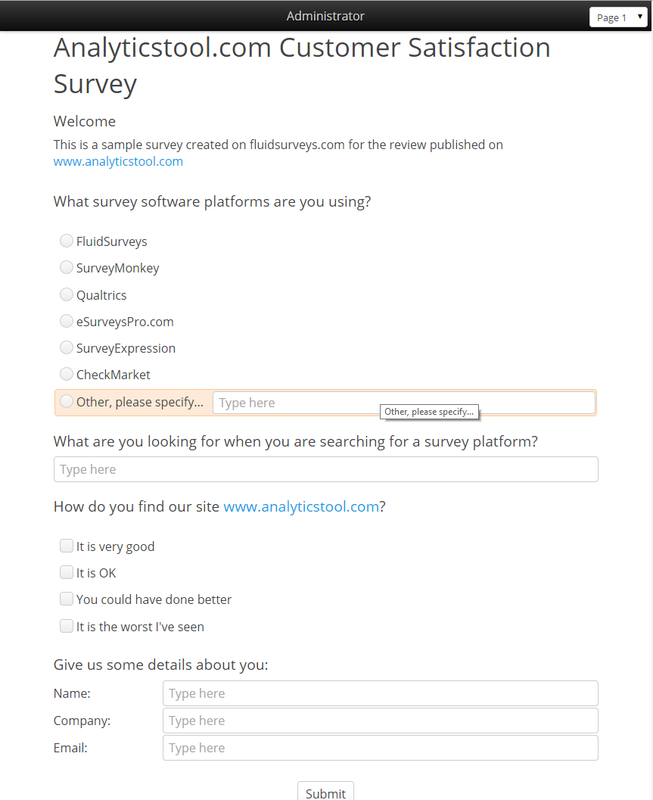 There are a number of settings here that we did not find on other survey sites and we liked them very much , for example the append to previous question that is particularly interesting if you would like to add a comment field to the previous question. 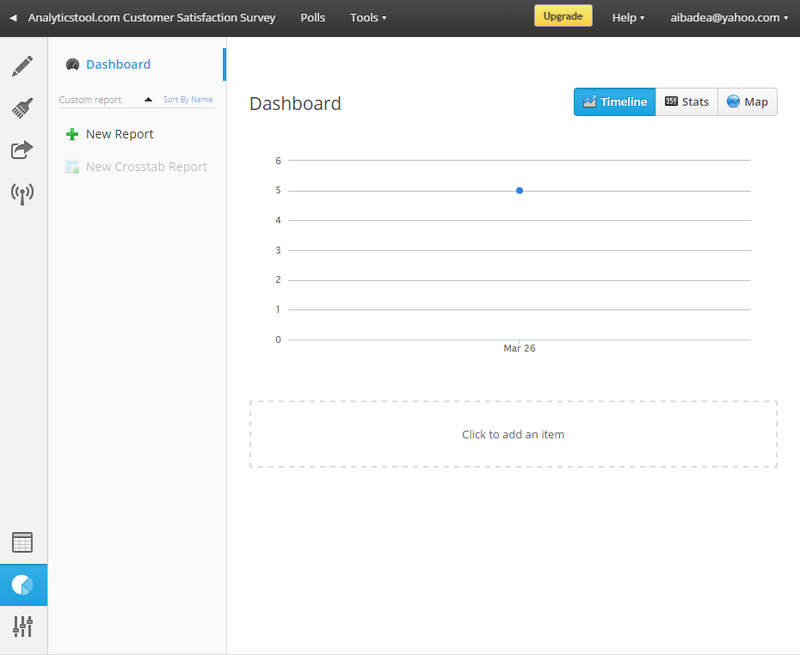 Very clean, nice looking survey theme. 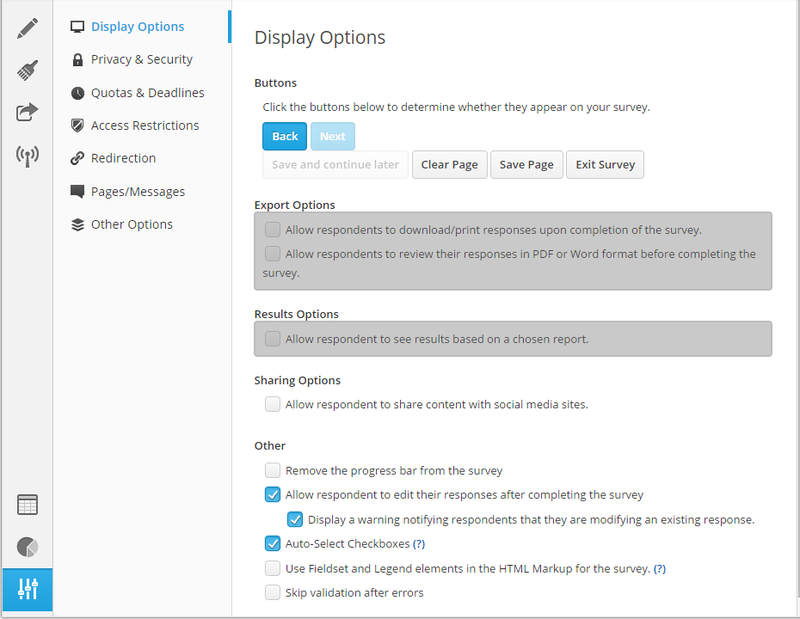 If you are not satisfied with it, you are free to choose from 5 predefined survey themes or customize your own by changing the colors, fonts, etc of all page elements. test the quality and versatility of your survey. 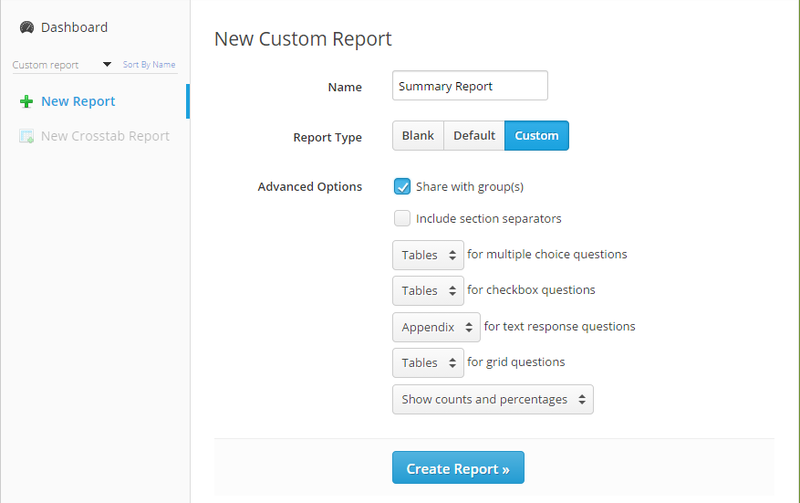 Pressing the New Report button you can create blank, default or custom reports. 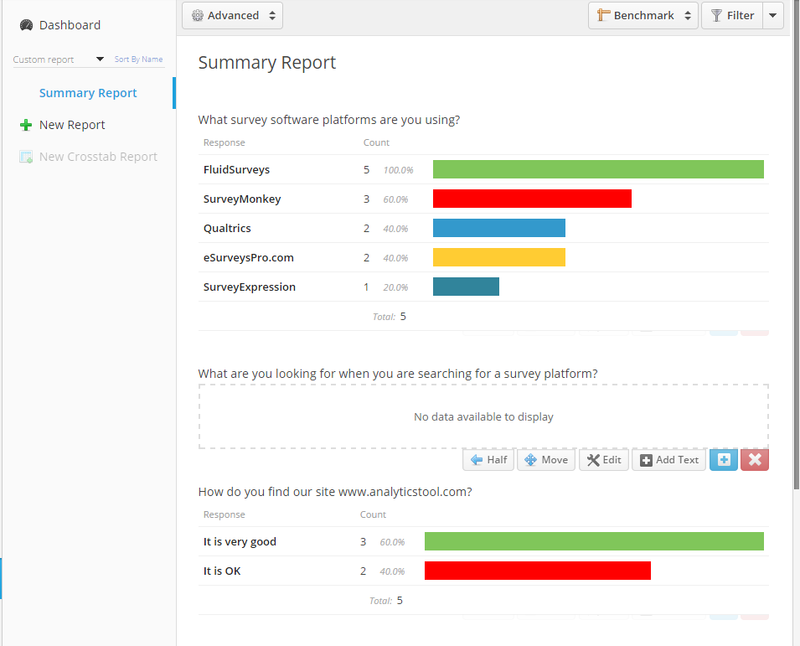 We will need to see a summary report for our survey, so we will create a custom one. 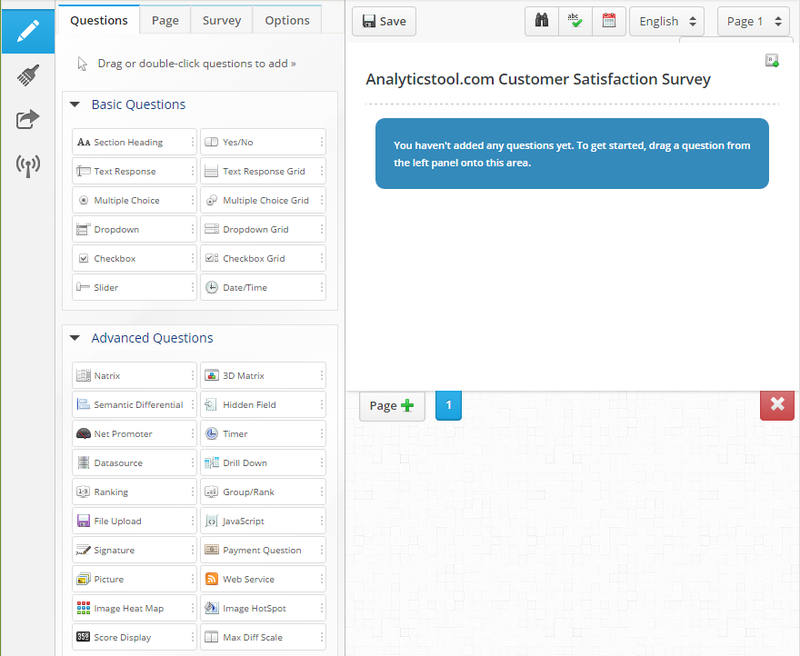 The report can be modified very easy, by editing every question or adding new item. 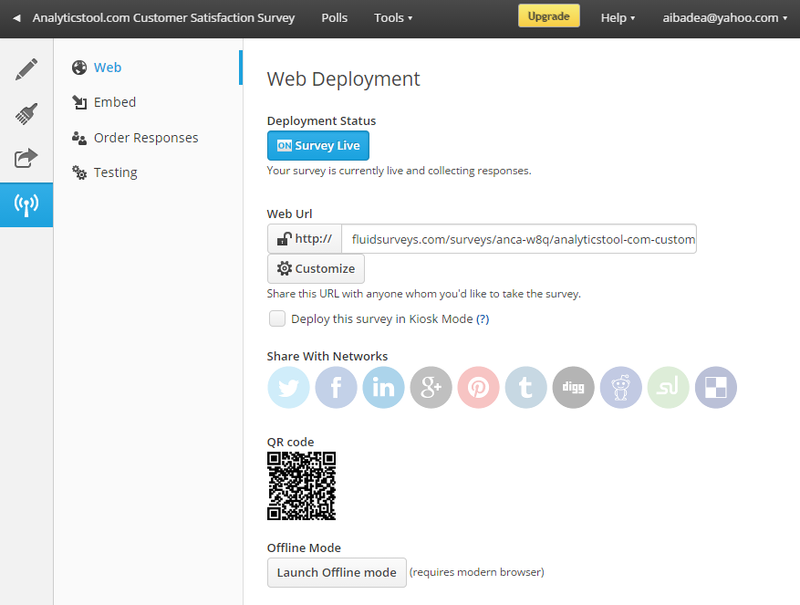 You also have the option to filter survey responses. In the responses area you can see the list of individual responses, filter them, add / edit / delete / import responses.